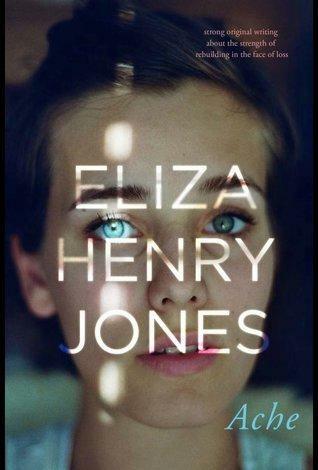 Eliza Henry-Jones signed a three-book deal with Harper Collins, making her debut novel, In the Quiet, a much anticipated release in 2015. It even made it onto the shortlist for our very own Readings Prize for New Australian Fiction. A year on, I have the privilege of reviewing Ache, her second novel, which I’m sure will be received with an equal amount of enthusiasm. Ache is the story of a family and a community recovering from a recent bushfire. The central character, Annie, lives with her husband and daughter in the suburbs, but she was at the mountain home of her childhood at the time of the fire. Forced to flee on horseback with her young daughter, Pip, in tow, the moment is caught on camera and published in newspapers. Thoughts of the mountains and the day of the fire continue to haunt Annie. A call from her uncle, concerned about the mental state of Annie’s mother, prompts her to return, with Pip, in the hope that it may be a healing experience for herself and her family. Although Ache is very much a story of loss and grief, it’s by no means a sad story. Rather, it is one of hope for the future. It is beautiful and gently flowing, written with a maturity hard to believe of such a young author (I think she’s only 27!). For most people, it is hard to imagine the devastating effects of a bushfire, but Eliza Henry-Jones’s experience as a grief counsellor has obviously given her a valuable insight into how people cope with trauma; she has used this to great effect in her writing. I’m looking forward to catching up on In the Quiet and I hope a third novel won’t be too long in coming!